Let’s be honest, the weather in Western Pennsylvania is not the same as southern Florida. Supplemental heating for your pool will add more pleasure to your pool recreation. 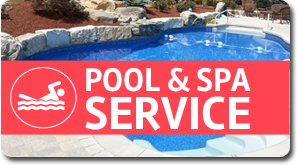 Extend the pool season by choosing one of the many heating options Debnar’s Pools and Spas has to offer. We sell a large selection of heaters from Hayward, Game Solar and GLI Products brands. Hayward pool heaters are technologically advanced for the ultimate in comfort. Whether you require rapid heat or a pool that is always at the perfect temperature, Hayward has the best heating solutions for your backyard. One of our expert pool technicians can guide you through the best heater for your pool. Game Solar Heating units heat your pool water the GREEN way using free energy from the sun. Game Solar Pro manufactures top quality solar heating options for your pool. Utilizing the suns rays you will increase the temperature in your pool in only a few days. These units are easy to install and require no gas or electricity. Extend the swimming season and save money on chemicals and water replacement with a durable solar cover. Solar covers offer a protection over your pool surface by preventing water evaporation saving on additional water and chemicals to be added. Debnar’s Pools and Spas offer offer a variety of covers in different thicknesses, colors, and sizes to cover all of the most standard pool sizes and shapes. Storage for your solar cover is simple with the full line of GLI Products solar cover storage systems. 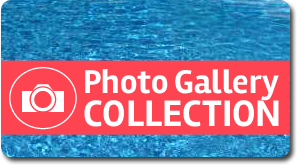 Stop into one of our locations and we will help you select the best solar cover for you pool.